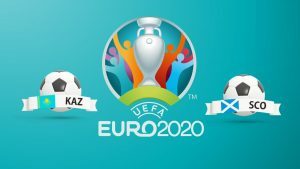 Kazakhstan, the 117th nation in the world, will struggle to resist Scotland, 40th in the FIFA world rankings, as Scotland will be in second place behind Belgium. Kazakhstan just won Moldova (1-0) on 21 February, ending a mini-series of 2 games without a win against Latvia (1-1) at home and Georgia (2-1). Kazakhstan has only 3 successes (Azerbaijan, Andorra, Moldova) in its last 16 receptions. Scotland has a good chance to play in this trip, which remains on 2 great successes in Albania (4-0) and against Israel (3-2) in Glasgow at the UEFA Nations League. The Scottish selection kicks off these Euro 2020 Qualifying Rounds by 2 trips well within reach in Kazakhstan and San Marino and has the ambition and determination to take 6 points at the end of these first two days. Faced with an opponent she has never faced, Scotland will be cautious but ambitious. ⚽ Kazakhstan has only 4 successes in its last 22 matches in all competitions. ⚽ Scotland has 3 wins in its last 5 meetings. ⚽ Scotland has two wins in Albania and against Israel in their last two outings. ⚽ Kazakhstan has won only three times in its last 16 receptions. ⚽ Scotland is ranked 40th in the world while Kzakhstan is 117th. Scotland is ranked much better than Kazakhstan in the FIFA world rankings and this first duel between these two nations could turn to the advantage of the visitors.